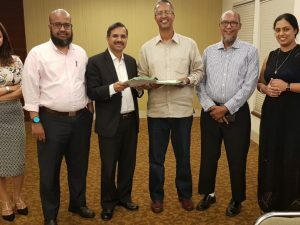 Expanding its overseas portfolio, Sarovar Hotels has announced the signing of its latest project in Africa with Yeha Hotel – A Sarovar Premiere Hotel, a luxury property in Axum, Ethiopia. This development signifies Sarovar’s focus on Africa and the latest addition to its existing portfolio of properties in Ethiopia, Kenya, Tanzania and Zambia. Yeha Hotel- A Sarovar Premiere Hotel will be a modern, luxurious development with a revolving restaurant and bar. It will also have the latest amenities in conferencing and meeting, a swimming pool, water amusement park and a kid’s playground. In the first phase, it will launch with 78 keys in October 2019, with plan to expand to 222 keys by 2021. 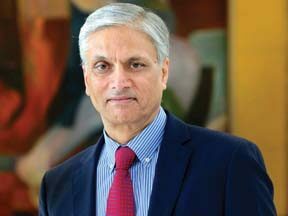 Ajay K Bakaya, Managing Director, Sarovar Hotels, says, “The hotel is an important addition to our rapidly growing footprint in Africa and reflects the strong traction the brand is gaining in the region. 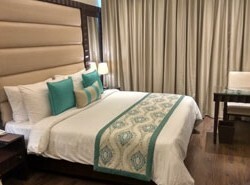 We see great growth potential in this market with high demand and this development makes a momentous step in our growth and expansion strategy in the overseas market.” Some of the openings of Sarovar Hotels this year include hotels in Jaisalmer, Gorakhpur, Dehradun, Katra, Lusaka and Dar Es Salaam. 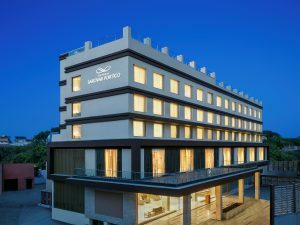 Sarovar Hotels has announced the opening of Nataraj Sarovar Portico Jhansi, consolidating the group’s foray into Uttar Pradesh. The 72-room hotel is also the first branded hotel in the smart city. 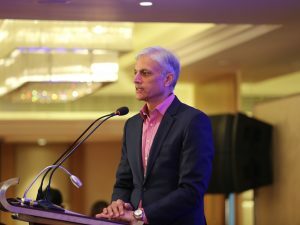 The hotel was inaugurated in the presence of Sanjay Khanna, Managing Director, Nataraj Mobiles and Ajay K Bakaya, Managing Director, Sarovar Hotels & Resorts. Owned by Nataraj Sai Hotels, Nataraj Sarovar Portico is the city’s first contemporary hotel in this evolving city. The well-appointed rooms and suites with all modern amenities complemented with personalised services, offer a truly memorable stay. The hotel also offers fully equipped conferencing and banquet spaces and facilities for up to 500 guests. Commenting on the development, Bakaya said, “We are glad to open the first branded hotel in this historic city of Jhansi and the fifth hotel in Uttar Pradesh. With its significant development, Jhansi is an important destination with rising number of visitors from across the country. This is set to be the best hotel in the city and will cater to the needs of corporate, groups, leisure and conferences.” Sarovar Hotels is targeting to have 100 hotels under its portfolio by 2020. Expected openings in 2018 include hotels in Jaisalmer, Somnath, Dibrugarh, Junagadh, Gorakhpur and Lusaka, Zambia. Sarovar Hotels & Resorts announces the opening of Taurus Sarovar Portico, New Delhi – IGI Airport. Strategically located near the IGI airport, Taurus Sarovar Portico features 83 guestrooms and it is the second hotel opening of the year by Sarovar Hotels after the opening in Raipur, Chhattisgarh. The hotel offers state-of-the-art business and conferencing facilities, Fitness Center, Alfa 63 – an all-day dining multi-cuisine restaurant, In-Room dining, and meeting rooms. The hotel is owned by Taurus International Projects. Commenting on the opening, Ajay K. Bakaya, Managing Director, Sarovar Hotels, said, “We are delighted to be consolidating our presence further in the Capital city. The opening of Taurus Sarovar Portico seeks to complement the demand for quality accommodation, especially near the airport both by business & transiting travellers. Our superior banqueting facilities will make meetings and events easier, complemented with our signature Sarovar hospitality, whether it a business get-together or a social occasion.” Sarovar Hotels is targeting to have 100 hotels under its portfolio by 2020. Expected openings in 2018 include hotels in Jaisalmer, Jhansi, Jaipur, Somnath, Dibrugarh, Junagadh, Gorakhpur and Lusaka, Zambia. 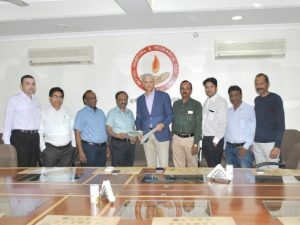 Sarovar Hotels has announced the signing of a new hotel in Ajmer, marking the group’s strong footprint in the state of Rajasthan. The group has signed an agreement for an 88 room hotel, Mittal Sarovar Portico in this old pilgrimage city. Owned by Mittal Dewellers, Mittal Sarovar Portico is Sarovar’s sixth hotel in the state of Rajasthan. The group has three operational hotels in Jaipur, one in Jodhpur and an upcoming hotel in Jaisalmer. Designed as per the brand characteristics of a Sarovar Portico hotel, the property enjoys access to all key tourist attractions and will be offering all modern facilities including an all-day dining restaurant, bar, gym, swimming pool, spa and banquet facilities. The hotel is expected to be operational by October 2019. Commenting on the development, Ajay K. Bakaya, Managing Director, Sarovar Hotels, said, “We are happy to open a Sarovar Portico hotel in this significant city of Rajasthan. With its rich history, Ajmer is an important tourism destination with rising number of visitors from across the country and overseas. It is an important location for us and a significant addition to our portfolio. This hotel equipped with all amenities required by a modern day traveller is set to be one of the finest in town.” Sarovar Hotels is focused on strategic expansion throughout India and Africa. Some of the expected openings this year include hotels in Amritsar, Raipur, New Delhi Mahipalpur, Somnath and Jaisalmer. 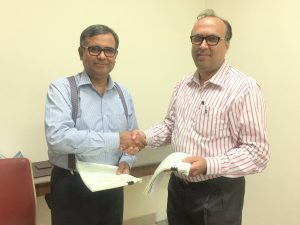 With over 75 operating hotels across 50 destinations in India and Africa, Sarovar Hotels & Resorts has signed an agreement for a 72-room hotel, Nataraj Sarovar Portico Jhansi. Owned by Nataraj Sai Hotels, Nataraj Sarovar Portico is expected to open in January 2018. With a prime location, the hotel under development has 72 rooms with all-day dining, bar, banquet halls, conference & meeting facilities, swimming pool, gymnasium, salon and rooftop open air banquet space. It is located in the center of city about 2 km from Railway Station. Commenting on the development, Ajay K. Bakaya, Managing Director, Sarovar Hotels & Resorts, said, “We are happy to open a Sarovar Portico hotel in this historic city of Uttar Pradesh. With its significant development and rich antiquity, Jhansi is an important destination with rising number of visitors from across the country. It is an important location for us and a significant addition to our portfolio. 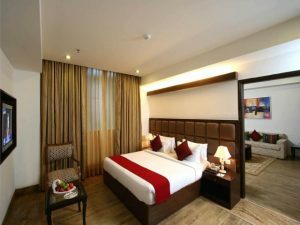 This will the best hotel in the city and will cater to the needs of Corporate, Groups, Leisure and MICE.” Some of the expected openings this year include hotels in Amritsar, Raipur, Mahipalpur, Somnath and Jaisalmer. Crystal Sarovar Premiere Agra has been certified as a 5-star hotel by the Ministry of Tourism. The 112 keys hotel has received the certification for a period of five years till the year 2022. Speaking on the recognition, Ajay K. Bakaya, Managing Director, Sarovar Hotels Pvt. Ltd., says, “This certification reinforces our strengthening position in the leisure markets. Agra holds a high significance in the tourism map and we are glad to be able to offer the best of our signature Sarovar hospitality in this city.” Commenting on this acknowledgment, Vivek Mahajan, General Manager, Crystal Sarovar Premiere Agra, says, “We are delighted to be certified with 5 – Star ratings for Crystal Sarovar Premiere. We have been delivering a premier full-service and upscale hotel experience to guests visiting one of the most popular tourist destinations in India. Crystal Sarovar Premiere will continue to set new standards by offering unmatched hospitality services to the guest at attractive price points”.